Professional 3-Way speaker system consisting of one high efficiency, high SPL 15” LF speaker, a 1” HF Compression Driver and two Piezo Tweeters, for excellent high frequency response. The speaker system has a high efficiency that makes it particularly good value as high levels of acoustic power can be achieved without drawing excessive power from the amplifier. 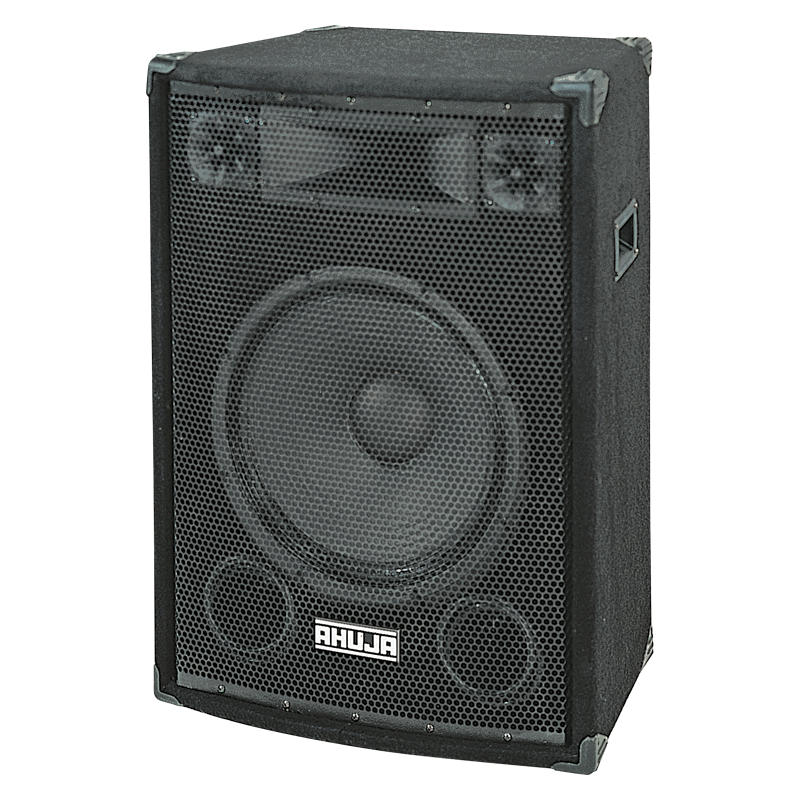 The system is housed in a Rugged Bass Reflex Trapezoidal Enclosure made of 18mm board, and Carpet covered. A Stand Adapter is provided at the bottom for stand mounting. The trapezoidal cabinet design assures optimum low frequency performance. An On/Off switch for the piezo speakers is provided to limit extended HF if desired. The speaker is ideal for PA as well as music performances.